Guntur (AP), Feb 10: Prime Minister Narendra Modi Sunday launched a scathing attack on Andhra Pradesh Chief Minister and TDP supremo Chandrababu Naidu, saying he has made a "U-turn" on promises of development to the state and only trying to replicate NDA government's schemes "Our government gave to Andhra Pradesh much more than what was mentioned in special status. Naidu was indeed a senior to him, but only in losing elections, switching alliances and ditching his father-in-law NT Rama Rao, Modi said at a public rally here. "He keeps reminding me he is senior. There is no debate in this. I have never shown any disrespect to you since you are a senior. You are a senior in changing alliances. A senior biting the back of your own father-in-law. A senior in losing one election after the other, where as I am not," the Prime Minister said. Further, Naidu was senior in embracing tomorrow those whom he would abuse today, Modi said. Modi alleged Naidu was taking him on since the Centre had sought details of every paise given to Andhra Pradesh. Naidu had promised walking in the footsteps of NTR, Modi said and asked if the Chief Minister had lived by it. "The arrogance of Delhi (during the Congress rule) has always insulted states. And NTR that is why decided to make AP Congress-mukth and floated the TDP. 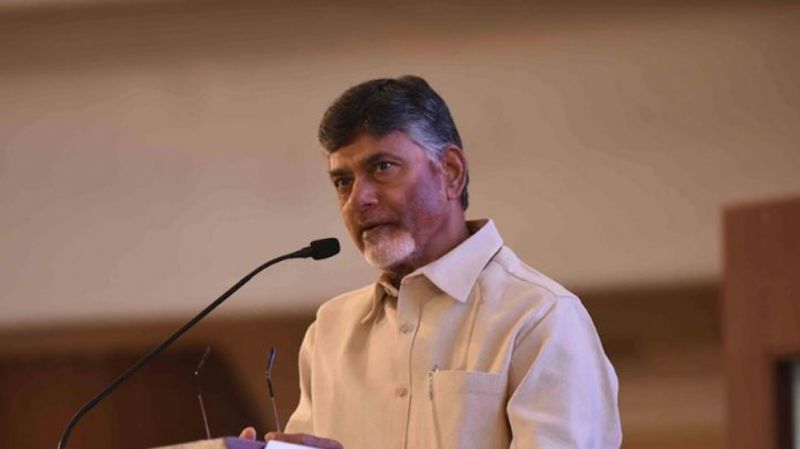 The TDP leader who has to resist the arrogance of the Naamdaars (famous and powerful people) and crush their arrogance is siding with them," he said in an apparent swipe at Naidu joining hands with the Congress. "This chowkidar (watchman) has disturbed his sleep.. wanted to know the details of every paise given to Andhra Pradesh," Modi said. Naidu promised the sunrise of Andhra Pradesh but is fixated with the rise of his own son N Lokesh, Modi charged. The Chief Minister promised the redevelopment of Amaravati but is now engaged in his own development, the Prime Minister alleged. He said Naidu had not initiated any new programmes for the poor but was only putting his stamp on the NDA government's development schemes. On providing clean fuel in the country, Modi said while in 60 years, only 12 crore gas connections were given, the NDA government had given 13 crore gas connections in just four years. On the occasion, the Prime Minister dedicated two petroleum and gas projects to the nation. Earlier, when Modi arrived at Gannavaram airport in Vijayawada, TDP workers staged protests. This is Modi's first visit to the state after the ruling Telugu Desam Party severed ties with the NDA. The Chandrababu Naidu-led party quit the BJP-led alliance protesting the "injustice" done to the state post-bifurcation. Giving the protocol a go-by, none of the state ministers turned up at the Gannavaram airport to formally receive the Prime Minister. BJP leaders alleged that people were "thwarted," from reaching the venue in large numbers and said countdown would start for Naidu with Modi's rally at Guntur. 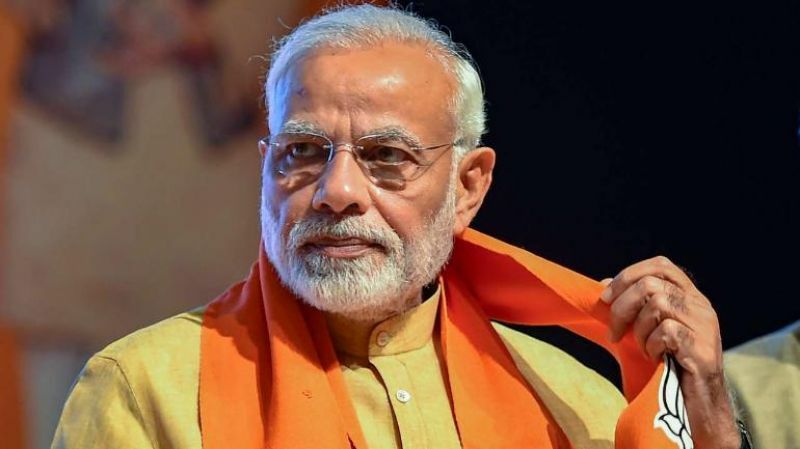 Commenting on the black balloon protests against him by TDP workers, Modi quipped he welcomed it recalling the tradition of smearing black to ward off evil designs.